Indie Retro News: DreadStar - A wicked PC shoot em up that's in development with ZX Spectrum tunes! DreadStar - A wicked PC shoot em up that's in development with ZX Spectrum tunes! 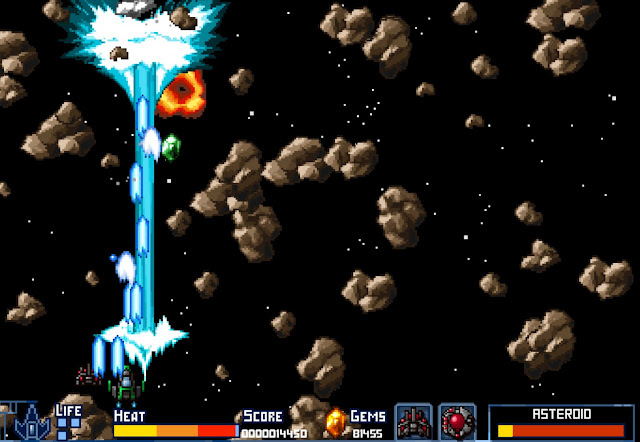 Growing up there was nothing more satisfying than playing top down scrolling shoot em ups such as the fantastic classic Tyrian 2000, which is also available on GOG. I'm also a bit of a sucker for bullet hell shooters that just don't stop with the constant flood of bullets across your gaming screen. But this game ' DreadStar 'by AugmentedIrreality takes the best out of this genre, adds a few unique gaming touches and includes a high grade chiptune soundtrack. This game is also in development as early access but does give you a taste of what to come as a free PC download. From the very moment you start the game you just know DreadStar is going to turn out to be rather special. 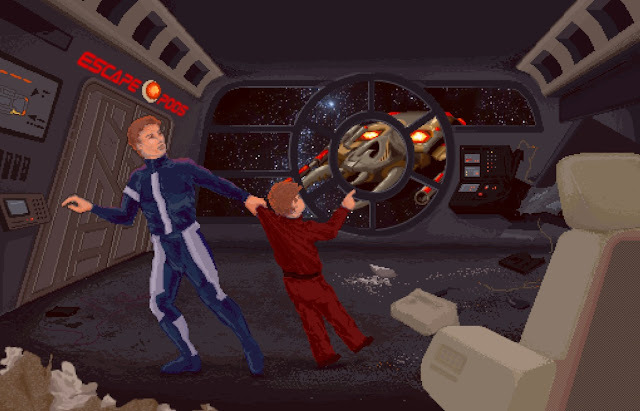 From the intro where your fathers ship is destroyed by the evil Dreadskull and you escaping in a escape pod, to the main upgrade ship and scene selection with each choice a teleportation it's just so cool to look at, that it makes you feel like it's a brilliant Amiga or Dos game. What's more, the in game action with multiple enemy types coming at you from all sides, dropped pick ups, firepower and over heating weaponry really adds to that nostalgic experience... More so when you visit the shop later, which makes me feel like I'm playing Z-Out. I could go on and on about how good this game is going to be as currently it's in early access, but all I can say is you really should try it at least once, more so for the Pixel art cutscenes and chiptunes which were actually done on an Atari-ST and ZX Spectrum! Just be warned it's very difficult and there is only one sector to play in with more due later.